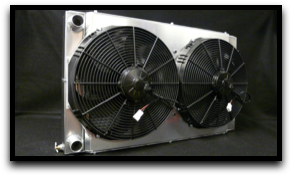 Home / Shop / Cooling Systems / -CBR Performance Products, Inc.
CBR Performance Products, Inc. has a number of years of hands on experience, from Motocross Racing, Road Racing to Off-Road Racing. We spend numerous hours on Research & Development to provide the highest quality product on the market Private race teams have always been a hugh part of CBR, we rely on their feed back from our products to guarantee the performance we offer. We continue to use the information everyday across the world to help develop our next product.